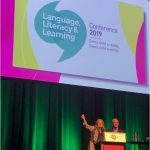 I’ve just written a comment in response to today’s article in The Conversation called “Seven things to consider before you buy into phonics programs” by Senior Lecturer in Language, Literacy and TESL at the University of Canberra, Misty Adoniou. That everyone learns literacy differently, and phonics programs are only relevant to learners with “particular learning needs”. “A phonetic language” is a language with phonemes (speech sounds), of which English has about 44, depending how thinly you slice them. I think you mean that English lacks a transparent orthography, but that does not mean it lacks strong and consistent relationships between sounds and letters. Four main principles need to be understood to teach English orthography well: 1. Spoken words are made of sounds, 2. Letters and letter combinations are how we represent these sounds in print (about 200 main spellings), 3. Most sounds are written a few different ways e.g. ou in out, ow in cow, ough in drought, 4. Some sounds share spellings e.g. ow in cow, ow in low. Once you get your head around this system, almost all words in English are decodable, though their phoneme-grapheme correspondences are more complex than languages with shallow orthographies like Italian and Finnish (I use “shallow” in the linguistics sense, not the pejorative sense). If English wasn’t phonetic we wouldn’t be able to read new brand or business names in the shops, or other words we’ve never seen before. You wouldn’t be able to read aloud these pseudowords I just made up – flaunk and pustinaceous – which adhere to the phonotactics and orthotactics of English, unlike xcmetrvyz, which doesn’t and so couldn’t be an English word. I know many older students with poor decoding skills, so beg to differ with the statement, “Children who are failing in literacy in upper primary and high school are not failing because they don’t know their sounds. 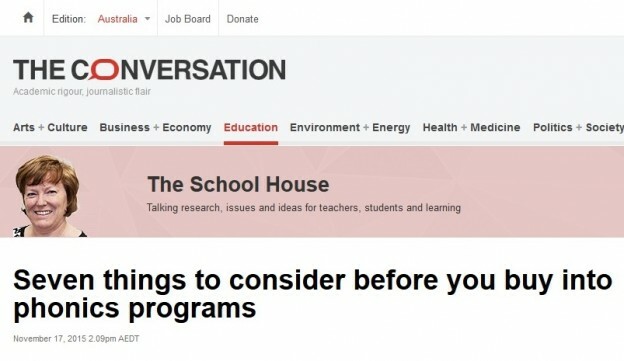 They are failing because they can’t comprehend.” Many students have only ever been taught the most basic spelling code, and not all the vowel sounds (we have five vowel letters but 20 vowel sounds), less common spellings of consonant sounds, or how to segment words into syllables and manage the unstressed vowel. Many students simply can’t work these things out for themselves, so they can only read simplified text. Some of these struggling students also have listening comprehension difficulties, and some of them do not. I’m yet to find one who cannot learn, given good explicit, systematic synthetic phonics instruction. If Education faculties taught that reading = decoding X listening comprehension (the Simple View of Reading), and how to assess decoding and comprehension separately in order to pinpoint a student’s problem(s), then teachers would be able to assist students with difficulties more effectively. 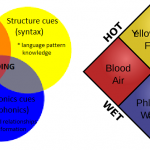 A good synthetic phonics program doesn’t just teach the alphabet and a few digraphs, it works on word and syllable structure, covers spellings of 1-4 letters, shared spellings and multisyllable words, and less-common spellings like the Greek PH in graph, CH in chemist, Y in gym and perhaps even the X in xylem. Educational reforms should be based on the best-quality evidence available. According to John Hattie phonics instruction’s effect size is 0.6 but Whole Language’s effect size is only 0.06, see http://visible-learning.org/hattie-ranking-influences-effect-sizes-learning-achievement. This research pertains to mainstream students, not just the few students who are very hard to teach to read and spell. 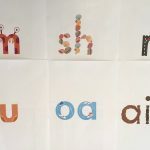 Many phonics programs are written by people with no linguistics training and are full of mistakes, and lots of activities sold as “phonics” are indeed a waste of time. If teachers were taught English phonology, orthography and morphology, they would be able to easily tell the difference, and not add to the problem. Finally, it is simply not true that everyone’s brain learns literacy differently. Cognitive neuroscientists have established this quite conclusively. A good starting point to learn more is this short, free video of a talk by the author of the book “Reading in the Brain”: www.youtube.com/watch?v=25GI3-kiLdo. 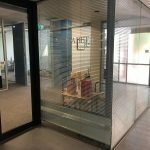 I’m therefore a bit surprised to find that the words “phonology”, “orthography”, “morphology” and “etymology” don’t appear in the Canberra University Literacy for Teachers subject description. 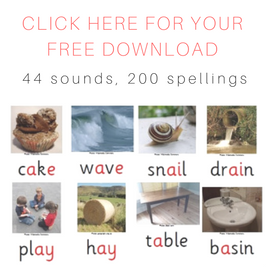 For long lists of what I consider to be good-quality synthetic phonics programs and resources, click here. Let me know if you know of anything good that I’ve missed. And to clarify for those implying on social media that I make lots of money from this blog, if I paid myself an hourly rate for the work I’ve put into it to date, it would be about $2 per hour. I do it because it drives me crazy watching children being set up to fail, and watching parents struggle to help them. This entry was posted in curricula, phonics activities, research, teaching strategies, whole language on November 17, 2015 by alison. 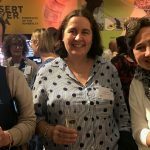 As a homeschooling Mum of a child with a disability I needed to find resources that I could trust. I don’t have the knowledge myself so have continually returned to your blog. I’m happy to say we are on the right track and my girl is starting to decode. I purchased resources highlighted in here. 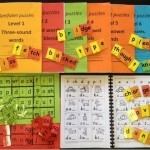 I initially bought other ‘phonic’ resources to find far too many sounds in even their most basic stages. I appreciate how you explain information. Thankyou for the time you put into this blog, you are making a difference in our world. Thanks for the nice feedback, glad to hear your daughter is starting to be able to read. All the best, Alison.